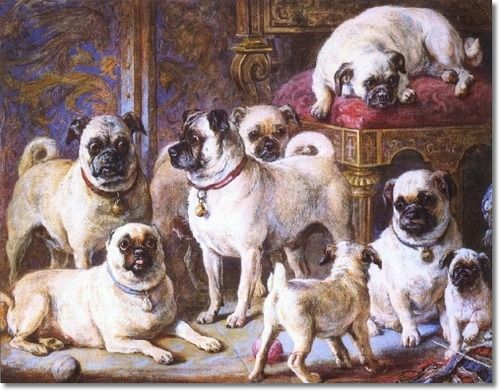 Beautiful examples of the old-style pug! We have a rescue who is a throwback to this type of pug…Taffy would fit right in to this picture. We have owned pugs since 1998 and have bred and showed them. Favored body styles have changed multiple times over the years, but the responsiveness, charm and individuality of this marvelous breed have remained as constants!